The U.S. Virgin Islands of St. Thomas and St. John are filled with lush rainforests, exotic wildlife, and beaches surrounded by the stunning blue waters of the Greater Antilles. “America’s Paradise” lives up to its name with nearly 100 tiny islets waiting to be explored. 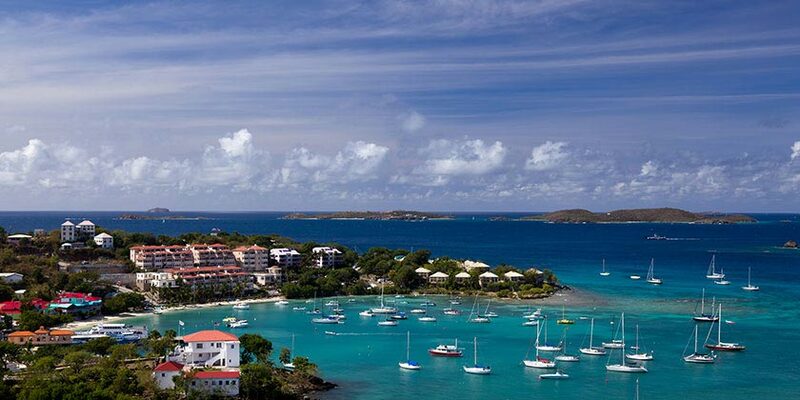 From basking in the sun on St. John’s immaculate beaches to fishing in St. Thomas’ Magens Bay, the U.S. Virgin Islands are one of the best places in the world for sailing, scuba diving, and enjoying the outdoors. During your St. Thomas and St. John vacation, you can spend hours lying on the beach or shopping the day away in the quaint boutiques. This Caribbean destination is proof that paradise is closer to home than you thought. Resort info: Vibrant pink Bougainvilleas, swaying palms, tropical gardens and brick walkways enhance the alluring ambiance of this island resort.